Blue Ribbon Volunteers – of ALL Ages!!! 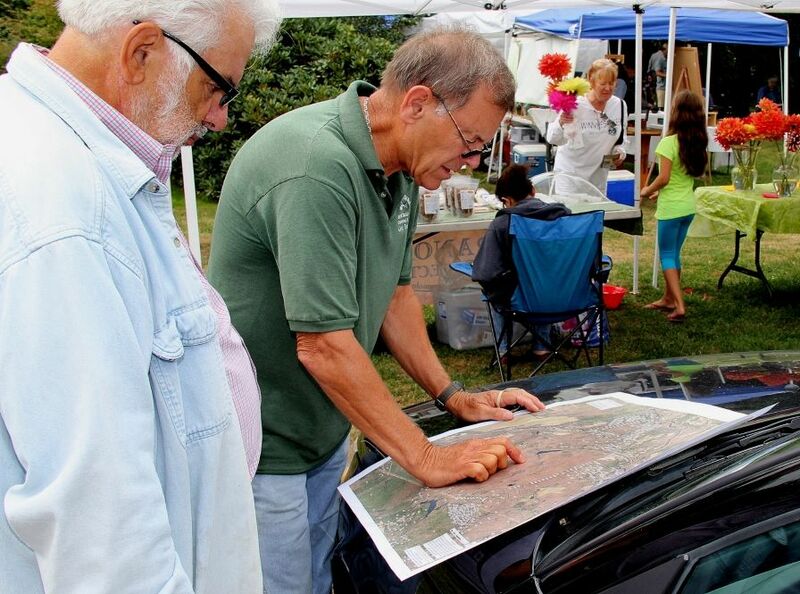 Did you need a parking space at the market this past summer? Directions to a particular vendor? How about a hand with your purchases? 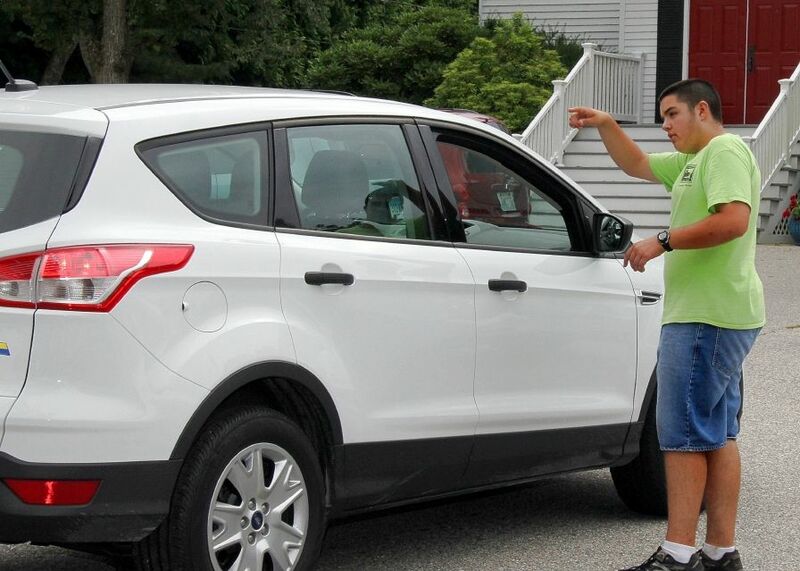 Or maybe just a welcoming smile and a courteous greeting…Our Volunteers did it all. 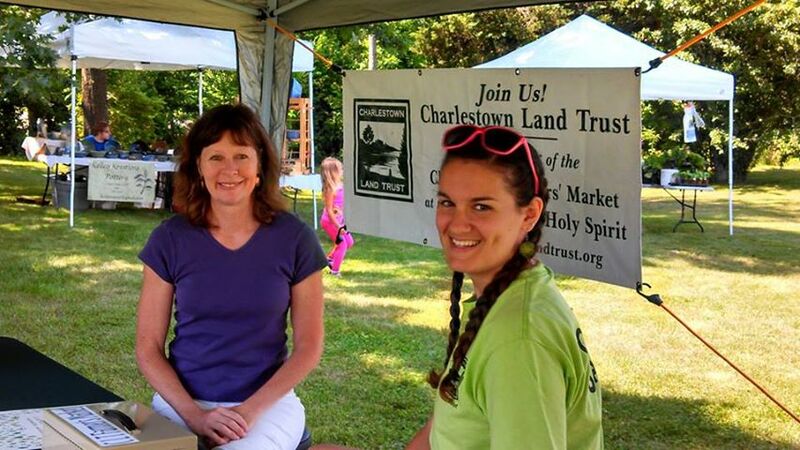 Under the direction of market manager Beth Iovino and Charlestown Land Trust intern, Sarah McLaughlin our volunteers made everything more accessible, set a congenial tone, and brightened the community atmosphere each week. 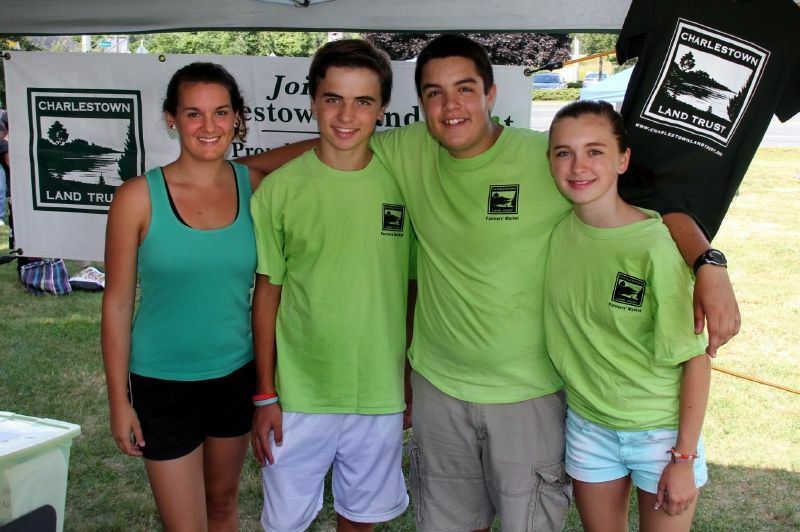 The volunteers at our market were unmatched when it came to helpfulness, courtesy, and reliability! Student volunteers Eric, Nick and Hope were faithfully and competently available each week, often anticipating a vendor’s or shopper’s need even before it was expressed. 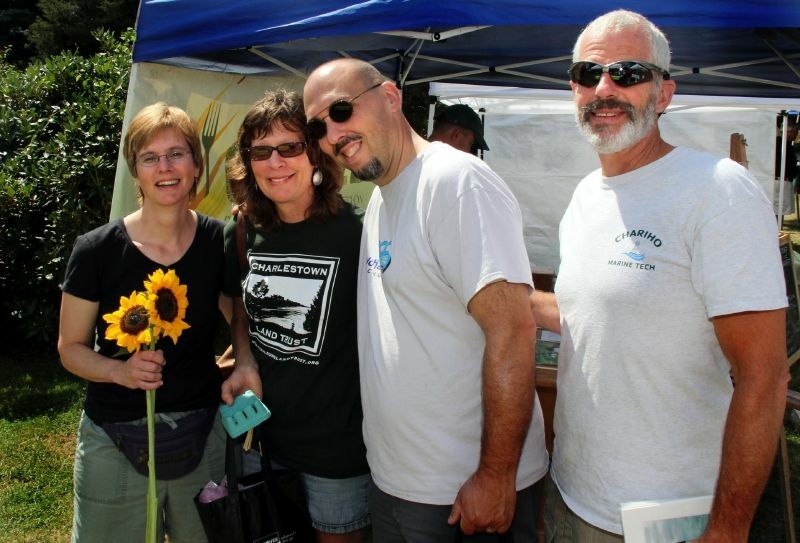 Land Trust volunteers also included several of our members. 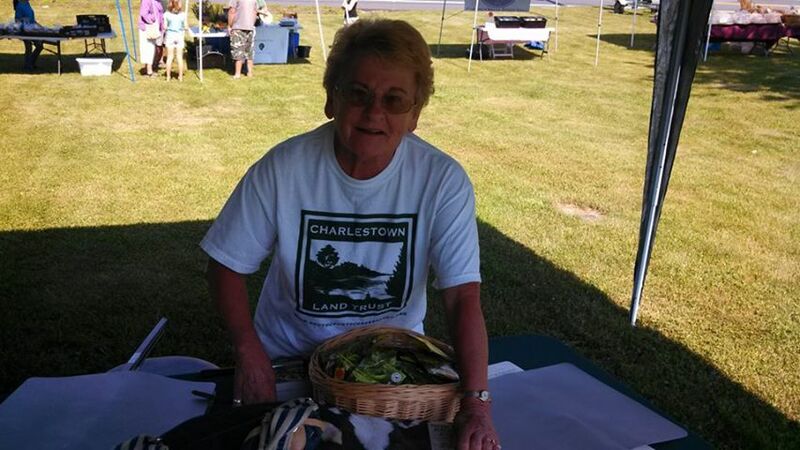 On any given Friday it was not uncommon to see Roe and Faith Laboissiere, Karen and Michael Jarret, and Connie Baker bustling about assisting vendors or shoppers, offering information about the Charlestown Land Trust, or just sharing conversation (and delicious market snacks). 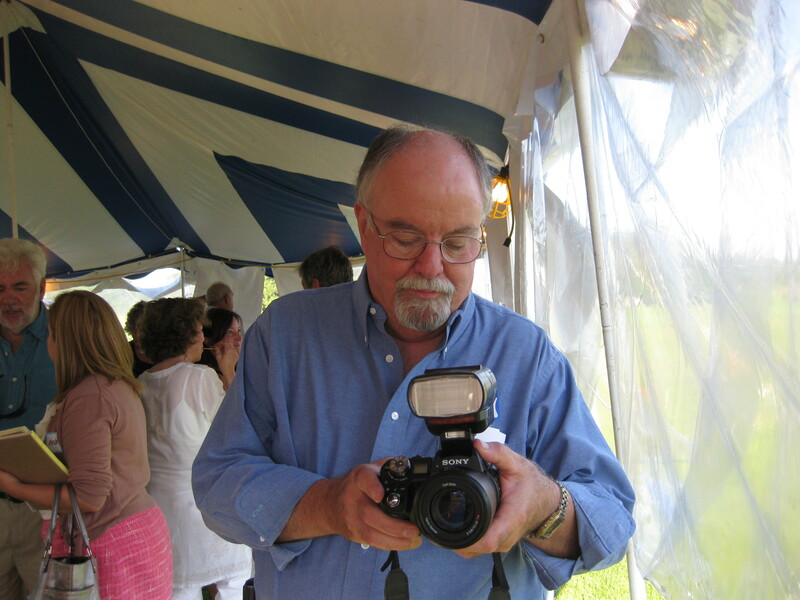 All the while Roger Greenall (our court photographer pictured below) circulated recording images from the summer many of which are displayed throughout this blog. And how could we ever forget to mention – with deep gratitude – The Church of the Holy Spirit that VOLUNTARILY offered us our most beautiful location? While we traded goods at the market, they ran an outreach program for youth in an adjacent space. Our two year partnership with them has been most fortuitous for us.